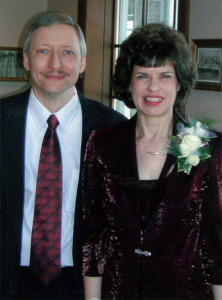 David Henning was a Lutheran elementary school teacher. He got downsized. Not nicely. With his partner in life, Vicki Henning, David got 501(c)3 status for Crown of Compassion Ministries. Still working full-time, he shows Compassion nearly full-time in his downsized workers Ministry. He’s good at it too. He reaches out, reads and writes on the topic constantly. Virtually every day. Perhaps every day. If I was on as much of a mission at any site of my own, I’d probably generate more work than I know what to do with. Yet David does this not to help himself, but to help others. I’m often wary of folks who wear their religion on their sleeve. I admire people who live their religion, in the best possible sense. David and Vicki are just such people. 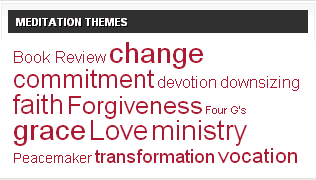 Take a look at this Tag Cloud, and you’ll get a great idea of what Dave and Crown of Compassion Ministries are all about. The greatest of these words is Love. This entry was posted in Friends, Spiritual and tagged Love on July 15, 2014 by keith.